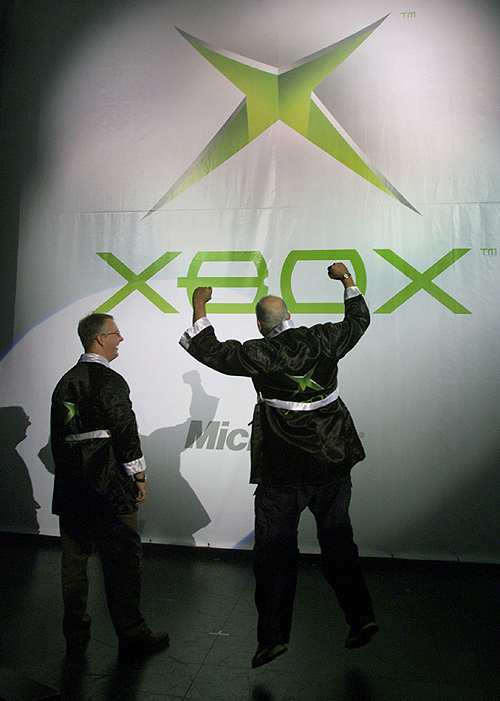 Microsoft entered the console war ten years ago today. 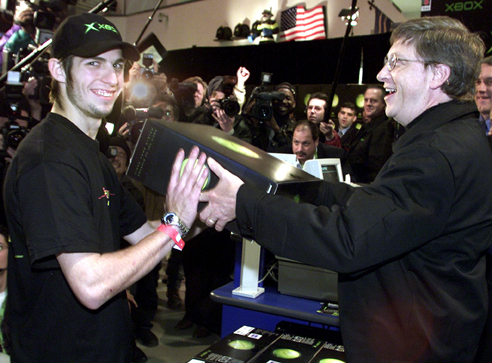 It's pretty safe to say that the world was a much different place in late 2001. Many of us were still reeling from the terrorist attacks of September 11th, and Microsoft was making more headlines for its anti-trust lawsuit than any innovations in the gaming industry. 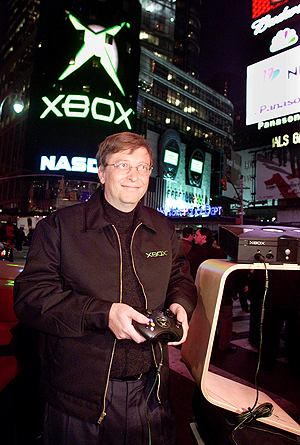 Bill Gates sold the first Xbox to a customer in Times Square, New York City at midnight on November 15th, 2001. No one in the industry predicted that the Xbox brand would make the splash it did, but ten years and a generation later, Microsoft's console platform is still going strong. 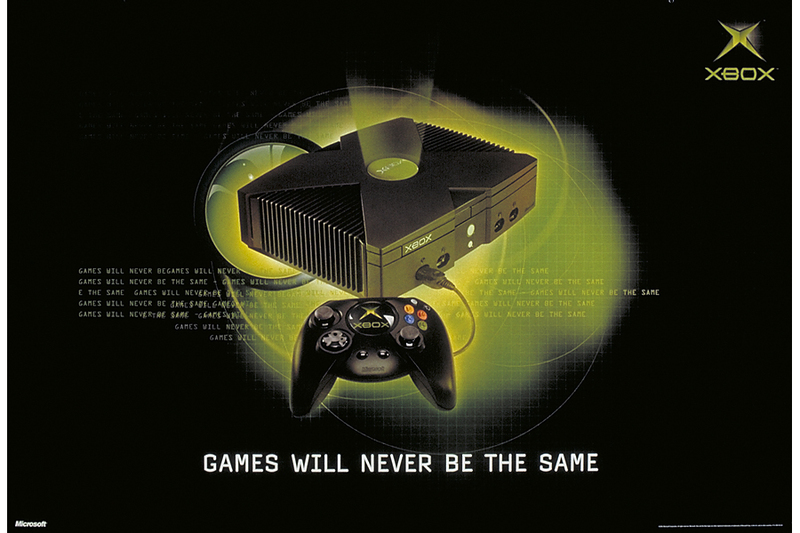 One big reason the Xbox sold 1.5 million units the first 45 days it was available in North America was the launch title of Halo: Combat Evolved, but I think the secret sauce in the Xbox's longevity was the heavy investment in its Live service. 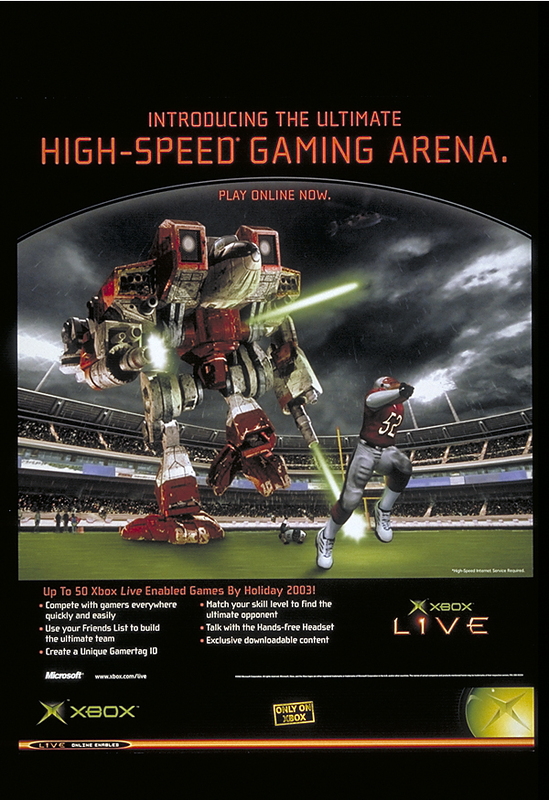 Other consoles had online capability before 2001, but only the Xbox positioned itself as a premiere online multiplayer platform. "It was incredible foresight that allowed us to have a running start into space I'm confident we've owned ever since. [Live is] the oxygen of the Xbox business," said Chris Lewis from Microsoft. "Was it fully formed? I certainly know back then we used to talk about all games someday would be online. We wouldn't have architected the console in that way if we didn't." Lewis said he had to figure out how to get gamers on board with the Xbox brand quickly. "People had a level of scepticism about our long term chances, our pedigree and our appetite for the fight," he said. "We had some experience on the PC, but Xbox was entering was a highly competitive space and we knew we had to quickly appeal to that core audience that would then talk positively about us and what was coming." With the Xbox 360 selling nearly 60 million units and Kinect changing the way we play games (and make robots), the future seems very bright for Microsoft's gaming division. The company got its consoles right - now maybe they could do something better than Games for Windows for PC gamers? Pretty please?